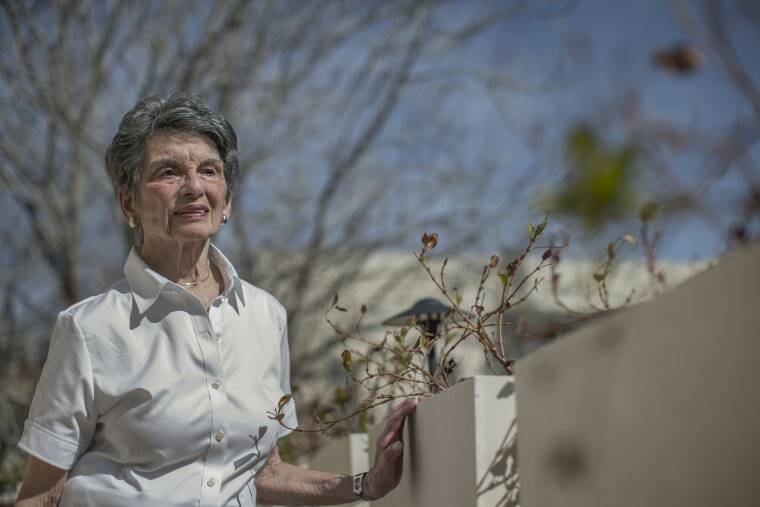 The case pitted Renee Rabinowitz, an 82-year-old who fled the Nazis during World War II, against Israel’s national carrier El Al. "This is revolutionary," Rabinowitz's lawyer Anat Hoffman said in a statement after Judge Dana Cohen-Lekach handed down the decision on Wednesday. "As it would be unthinkable to move an Arab passenger at the request of a Jewish passenger, a female passenger cannot be moved at the request of a Haredi passenger," added Hoffman, referring to a member of an ultra-Orthodox sect of Judaism. Hoffman is the executive director of advocacy group Israel Religious Action Center. Rabinowitz did not set out to make legal history when she took her business class seat on Flight 28 from Newark, New Jersey, to Tel Aviv in December 2015. She told NBC News that within minutes of settling in, a male flight attendant spoke to a Haredi man who was next to her. Soon after, the attendant returned, Rabinowitz said, and asked her to move to what he claimed was a better seat. Rabinowitz, who lives in Jerusalem, then confronted her fellow passenger. "I’m an 81-year-old woman, what’s your problem?'" the trained lawyer says she asked. He responded that religious law dictated that men should avoid any contact with women that could be construed as immodest. "I interrupt him, and I say, ‘Well, I am sure it doesn’t say anything about sitting next to a woman,'" added Rabinowitz, an observant Jew. She nonetheless decided to move, knowing the 12-hour flight would be very unpleasant if she forced the issue. Examples of similar requests have grown in recent years, causing not only embarrassment for some passengers but also delays and on-board disputes. The decision to file suit against the airline was not an immediate one — Rabinowitz waited two weeks to take action. One thing that gave her pause were her own Haredi grandchildren, with whom she does not discuss the case to this day. The Jerusalem Magistrates Court's ruling requires El Al to set up a procedure for similar occurrences in future and explain to all in-flight staff through written directive and training. El Al is also required to pay Rabinowitz the equivalent of $1,834 in damages. The airline did not say whether it would appeal the decision. In 1941 at the age of 7, Rabinowitz fled Belgium with her family to France and then Spain. They eventually ended up living in Cuba before emigrating to the U.S., where she eventually became a lawyer. Rabinowitz moved to Israel in 2006.